I enjoy sports, particularly this time of year. With March Madness and baseball opening day in our sights, it is a fantastic time to digest the sports news feeds. And, in doing so, we can also learn a few lessons about leading our teams to great results. As leaders, we regularly deal with our organizations’ front page headlines. It may be an early morning email, an angry customer call, or a key employee submitting their resignation. We cannot avoid this news. We diligently respond and resolve the related failures and errors. 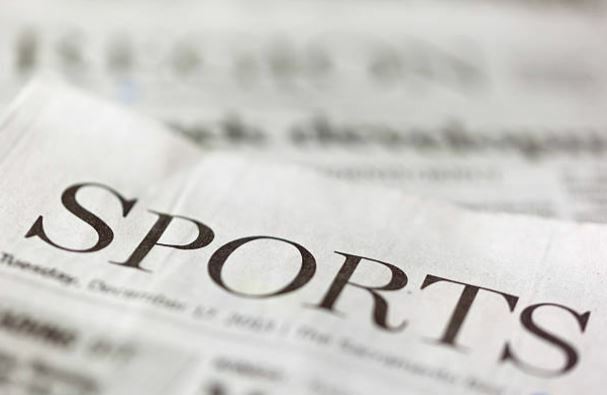 Sporting news gives us insights into improving focus on our organization’s accomplishments.A quick glance of sports news gives us the scores, how the teams performed, and how the games were played. We scan the play-by play analysis and detailed box scores. We look at the upcoming schedule and the odds for success. Finally, we learn about our favorite team’s determination: who did great, and who may be in a slump. Over time, we witness the creation of dynasties. Yes, we’ll also hear about epic failures and losses which are often followed by the coach explaining how they’ll regroup for a path to victory. These are the stories of accomplishment. We can take five lessons from sports to improve our organization’s accomplishment page. A vision for victory: The coach creates a clear understanding of success and the necessary daily outcomes for the team to succeed. Often, visions are brought to life with short powerful mantras. The score: People want to be on winning teams. They need to know the score. Where does your team look to see the score? Showing the desired results (goals), actual results, trends, and comparisons make for powerful accomplishment pages. Game analysis: Your daily debrief (post-game analysis) should review results, celebrate good work, discuss lessons learn, and adapt. How effective are your daily debriefs? Practice: Training for success comes in two ways. First, step-by-step performance instructions are defined for each and every position. Players need to know how to consistently execute the plan (standard work). Second, regularly investing in each player’s skills and providing feedback helps them hone their skills and expertise. How do you prepare your team for victory? Is your daily practice system ensuring your team is ready to play their best each day? Reinforcing a clear champion’s vision. Coaching to improve each position and the whole team. Celebrating: it may not quite be a champagne bath in the locker room, but certainly you have many reasons to celebrate… big and small. Review and reflect on these five steps to leading your team to a championship performance. How are you doing? I guarantee improving your systems and execution will create more and more accomplishments. You will build a dynasty. And, the front page news will be a bit more pleasant.